The British drove in successive lines, anticipating victory only to encounter another, stronger line after exerting themselves and suffering casualties. The depth of the American lines gradually soaked up the shock of the British advance. After killing or wounding fifteen dragoons, the skirmishers retreated. The British pulled back temporarily but attacked again, this time reaching the militiamen, who (as ordered) poured two volleys into the British who—with 40% of their casualties being officers—were astonished and confused. They reformed and continued to advance. Tarleton responded by ordering one of his officers, Ogilvie, to charge with some dragoons into the "defeated" Americans. His men moved forward in regular formation and were momentarily checked by the militia musket fire but continued to advance. 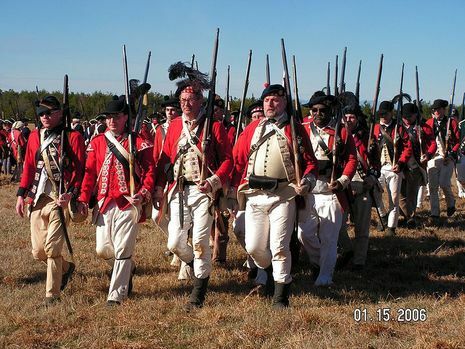 Pickens' militia broke and apparently fled to the rear and were eventually reorganized. Taking the withdrawal of the first two lines as a full blown retreat, the British advanced headlong into the awaiting final line of disciplined regulars which firmly held on the hill. Despite this, Tarleton believed he could still win with only one line of Americans left and sent his infantry in for a frontal attack. The Highlanders were ordered to flank the Americans. Under the direction of Howard, the Americans retreated. Flushed with victory and now disorganized, the British ran after them. Abruptly, Howard pulled an about-face, fired an extremely devastating volley into his enemy, and then charged. Triplett's riflemen attacked and the cavalry of Washington and McCall charged. Completely routed, the dragoons fled to their own rear. Having dismantled Ogilvie's forces, Washington charged into the British right flank and rear, while the militia, having re-formed, charged out from behind the hill—completing a 360-degree circle around the American position—to hit the British left. The shock of the sudden charge, coupled with the reappearance of the American militiamen on the flanks where Tarleton's exhausted men expected to see their own cavalry, proved too much for the British. Nearly half of the British and Loyalist infantrymen fell to the ground whether they were wounded or not. Their ability to fight had gone. Historian Lawrence Babits diagnoses "combat shock" as the cause for this abrupt British collapse—the effects of exhaustion, hunger and demoralization suddenly catching up with them. Caught in a clever double envelopment that has been compared with the Battle of Cannae, many of the British surrendered. With Tarleton's right flank and center line collapsed, there remained only a minority of the 71st Highlanders who were still putting up a fight against part of Howard's line. Tarleton, realizing the desperate seriousness of what was occurring, rode back to his one remaining unit that was in one piece, the Legion Cavalry. Desperate to save something, Tarleton assembled a group of cavalry and tried to save the two cannon he had brought with him, but they had been taken. Tarleton with a few remaining horsemen rode back into the fight, but after clashing with Washington’s men, he too retreated from the field. He was stopped by Colonel Washington, who attacked him with his saber, calling out, "Where is now the boasting Tarleton?". A Cornet of the 17th, Thomas Patterson, rode up to strike Washington but was shot by Washington's orderly trumpeter. Tarleton then shot Washington's horse from under him and fled. Only the Royal Artillery gunners fought till they were all killed or wounded. Morgan's troops took 652 British and Loyalist troops—a devastating blow. Even worse for the British, the forces lost, especially Tarleton's Legion and the dragoons, constituted the cream of Cornwallis' army. The number of British killed was claimed by the victorious Americans variously as 100, 110 and 120. Whatever the number killed in action, what counted was that Tarleton's brigade had been all but wiped out as a fighting force. Historian Lawrence Babits has demonstrated that Morgan's official report of 73 casualties appears to have only included his Continental troops. From surviving records, he has been able to identify by name 128 Patriot soldiers who were either killed or wounded at Cowpens. He also presents an entry in the North Carolina State Records that shows 68 Continental and 80 Militia casualties. It would appear that both the number of Morgan's casualties and the total strength of his force were about double what he officially reported. It was claimed by some of the Patriots after the battle that Tarleton had ordered his men, before they went into action, to take no prisoners. This may have been "black propaganda" of the sort that flourished amid the brutal conflict in the Carolinas during the Revolution. Tarleton's British Legion Cavalry were notorious for the way that they ruthlessly pursued defeated opponents, cutting them down as they tried to surrender. As a result, Tarleton was given the nickname "Barbarous Ban" by the Patriot press, a title that Tarleton relished since he felt it gave his command an advantage. But it is notable that nearly every time they defeated the enemy — Monck's Corner, Lenud's Ferry, Camden, Catawba Ford — Tarleton's men did in fact take some prisoners. Even at the Battle of Waxhaw Creek (alias The Buford Massacre), where Tarleton's men killed a high proportion of their opponents, they granted quarter to 203 Patriots. By Tarleton's own account, his horse was shot from under him in the charge at Waxhaw Creek and chaos erupted when his men believed he had been killed. In the end, 113 Americans were killed and another 203 captured, 150 of whom were so badly wounded that they had to be left behind. Tarleton's casualties were five killed and 12 wounded. This does not disprove the allegation that Tarleton had issued a "no quarter" order before Cowpens but no explanation has been offered as to why Tarleton would suddenly have adopted this policy. Tarleton's apparent recklessness in pushing his command so hard in pursuit of Morgan that they reached the battlefield in desperate need of rest and food may be explained by the fact that, up until Cowpens, every battle that he and his British Legion had fought in the South had been a relatively easy victory. He appears to have been so concerned with pursuing Morgan that he quite forgot that it was necessary for his men to be in a fit condition to fight a battle once they caught him. Nevertheless, Daniel Morgan, known affectionately as "The Old Waggoner" to his men, had fought a masterly battle. His tactical decisions and personal leadership had allowed a force consisting mainly of militia to fight according to their strengths to win one of the most complete victories of the war. 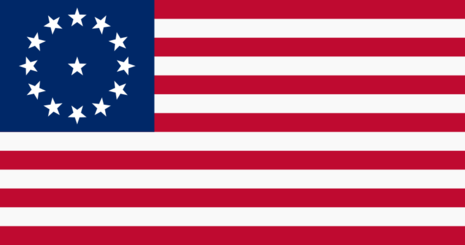 The war in the southern colonies had become something of a stalemate, neither side having sufficient strength to hazard full out offensive operations. The fighting was conducted by raiding columns and guerrilla activity. Both sides behaved with unrestrained ferocity. Tarleton had made his reputation in the southern colonies as a ruthless and impetuous commander. Pursued by Tarleton, Morgan determined to make a stand by the Broad River. He selected a simple position on two low hills in open woodland in the expectation that Tarleton would make a headlong attack without pausing to devise a more subtle plan. Morgan was correct in his assessment of Tarleton’s actions. 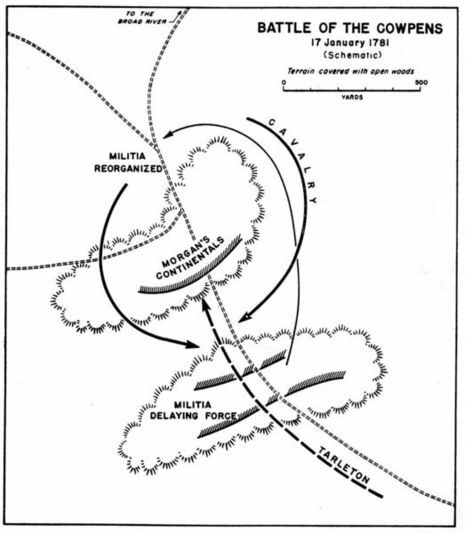 Morgan placed the Georgia and North Carolina militia in front of his line with a further screen of riflemen to their front. His main line was on the first and higher hill and Washington’s dragoons were placed behind the hill. He had no guns. Morgan’s men had a night’s sleep and breakfast in their positions. Tarleton marched his force onto the battlefield and attacked immediately. His first move was to send the 17th Light Dragoons to disperse the riflemen. The dragoons were driven back by accurate fire. Tarleton formed his infantry line and began the advance; the Light Infantry on the right, the infantry of his legion in the centre and the 7th Royal Fusiliers on the left. Troops of light dragoons flanked the foot. The reserve comprised the 71st Highlanders and the cavalry of Tarleton’s legion. Morgan’s riflemen opened fire on the British line and made a point of shooting down the “epaulettes” (the officers), before falling back behind the main American line. 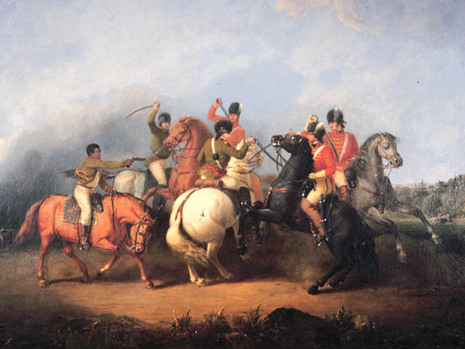 A troop of light dragoons pursued the riflemen and were attacked and driven back by Washington’s dragoons. As the British foot attacked, the 71st Highlanders extended the line to the left, outflanking the Americans. The American line withdrew but in good order. The British line lost its cohesion as it hurried to pursue the Americans who halted and gave fire before Washington’s dragoons again attacked, this time in the rear of the British line. The Americans went onto the offensive and the British line was overwhelmed. The 71st continued to fight until finally forced to surrender. Only the Royal Artillery gunners fought until they were all killed or wounded. Tarleton fled the field with the remnants of his column, the cavalry of his legion having refused to charge from the reserve.